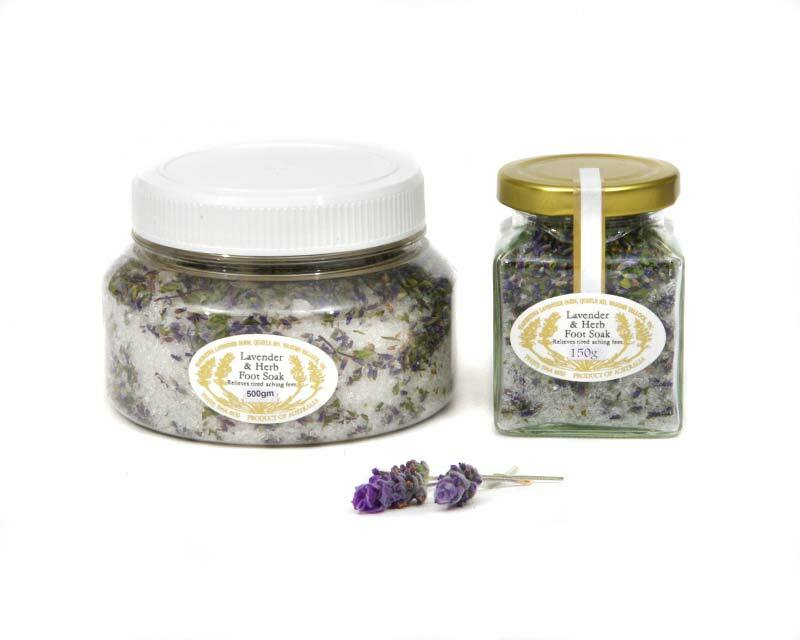 Relax with our luxurious lavender and herb infused foot soak. just add 2 teaspoons to a comfortably hot foot bath & relax for 10 minutes. It will help relieve tired aching joints, muscles and bones. Warratina Lavender Farm is set in the Yarra Valley at the foothills of Mt Dandenong. All lavender is harvested by hand and dried on the farm before the oils are extracted to be made into pure cosmetic products. Packaged in attractive gift jar and also available also in 500gm jar.